Times have changed and centuries have passed, but the heritage of Oom Yung training remains the same -- for all to benefit from the mental and physical strength of Oom Yung knowledge. Today as in the past, an important value of Oom Yung training is the improved health of the practitioner and the overall betterment of human life. In the school of Oom Yung Doe Martial Arts students practice many different movements for developing each part of their body. This is important for their health as well as for self defense. Through the practice of certain forms, it is possible to correct many physical problems you may have or to avoid those that may occur later in life. Balanced training will help an individual increase focus, energy, discipline and communication skills along with overall mental and physical health. It is this combination which increases success and enriches the lives of so many practitioners. 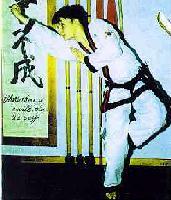 Oom Yung Martial Arts movements can develop many areas of the body not normally used in daily activities or conventional exercises. 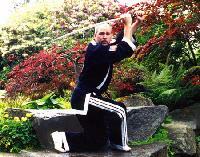 Oom Yung movements develop you in ways which will not shock or damage your body. In fact, many students with pre-existing injuries have found relief that was unavailable to them through conventional therapies. Oom Yung training engages the practitioner's mind, increasing the patience, confidence, self-discipline, strength, willpower and focus necessary for success in any endeavor. Oom Yung training can help anyone develop these mental and physical attributes, regardless of age, background or physical ability. Lack of self discipline is one of the greatest destroyers of personal goals. How many times have you started on a physical or mental goal, and due to lack of discipline stopped before reaching your objective. One of the greatest benefits to Oom Yung Doe Martial Arts training is the relationship between the student and the Instructor, who is there to help you reach your goals. Through the challenges of training, students build their own determination & self discipline which can be applied to all aspects of their daily lives. Regardless of who you are or what position you have in life, no one has a spare mind or body. Without good health you cannot have true happiness. These and other benefits can be summed up in a general description: Oom Yung training strengthens your mental and physical health to benefit your daily life. Without good health it is very difficult to have comfort, success or true happiness. Good health cannot be bought or sold. It is not merchandise. Good health is your choice and can only result from an earnest effort to improve. For many people something as close to them as health is so easy to forget or take for granted. It is important to take care of your health. In a survey of 1000 people over the age of forty five, ninety eight percent of the respondents indicated that good health was an important component of a happy life. The others responded that their health became a priority in their life only after a problem arose. After the problem occurred, the road to regaining good health was very difficult. Daily survival consumed their lives. Their lives would never be the same. 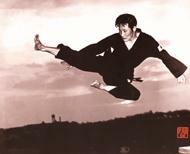 Practitioners of the Oom Yung martial arts have realized that the self discipline and physical benefits gained from their practice can prevent problems and help to ensure good health as they get older.